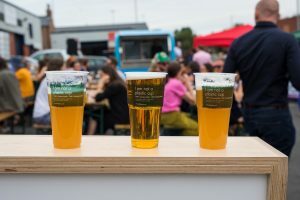 Lonely Planet called us ‘the North’s best food festival’, so come down and grab a bite of Leeds Indie Food every week this summer! 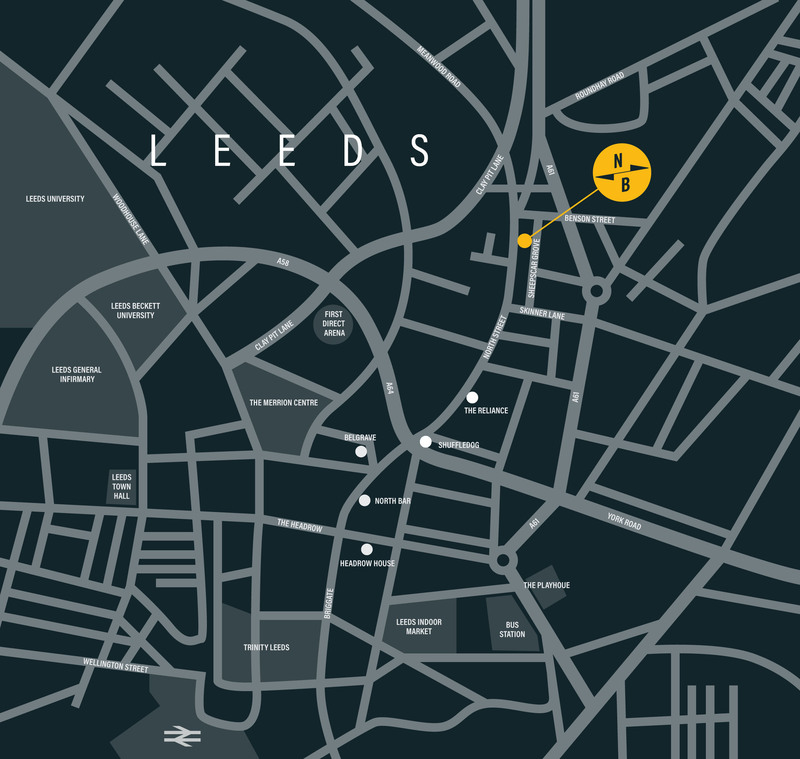 You’ll find us at the North Brewing Co. taproom, just north of the city centre. 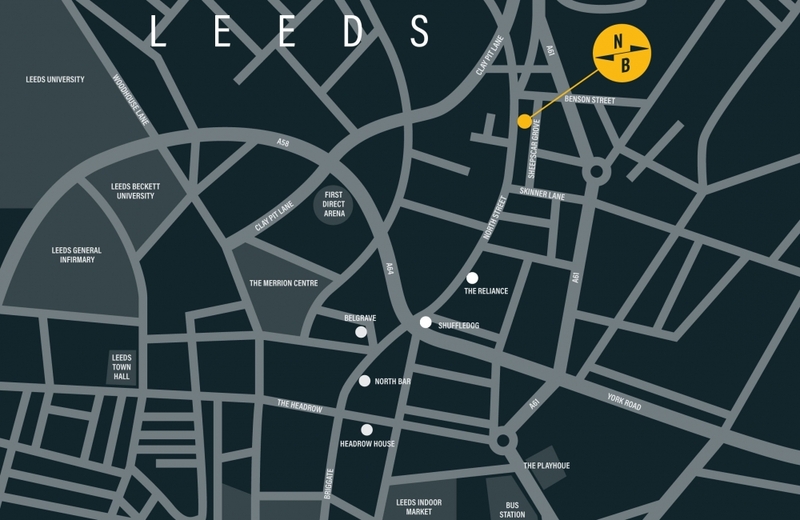 You can stick the postcode LS7 1AH in the satnav, or head to Taverners Walk Industrial Estate on Sheepscar Grove. There’s plenty of on street parking nearby. 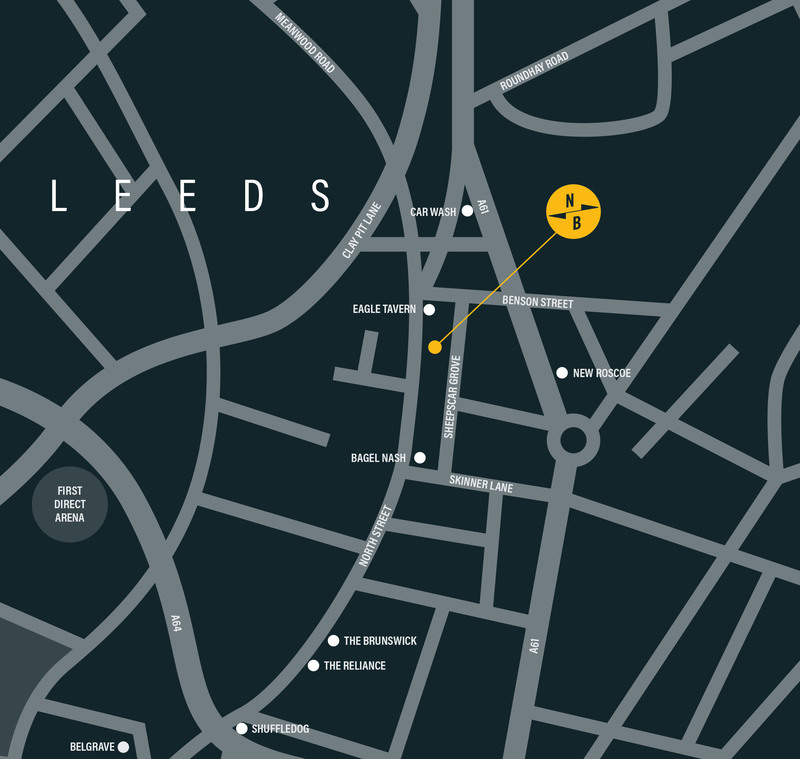 On foot, the brewery is about ten minutes from the top of Briggate. 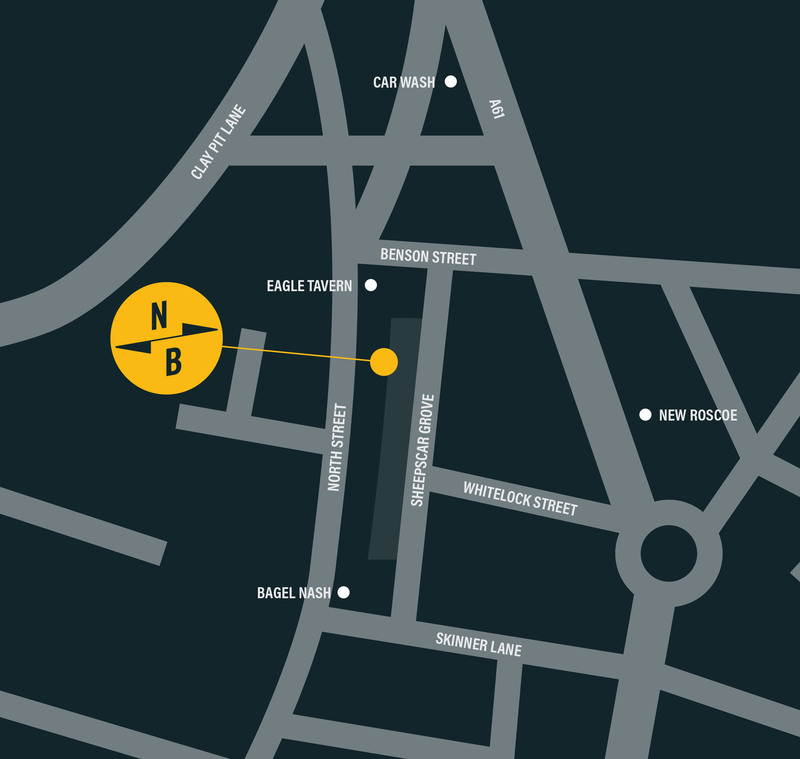 Head up North Street past Belgrave Music Hall and then past The Reliance. About five minutes later, you’ll see our sign! From the train or bus station you can get a cab for less than a fiver, or jump on a bus. 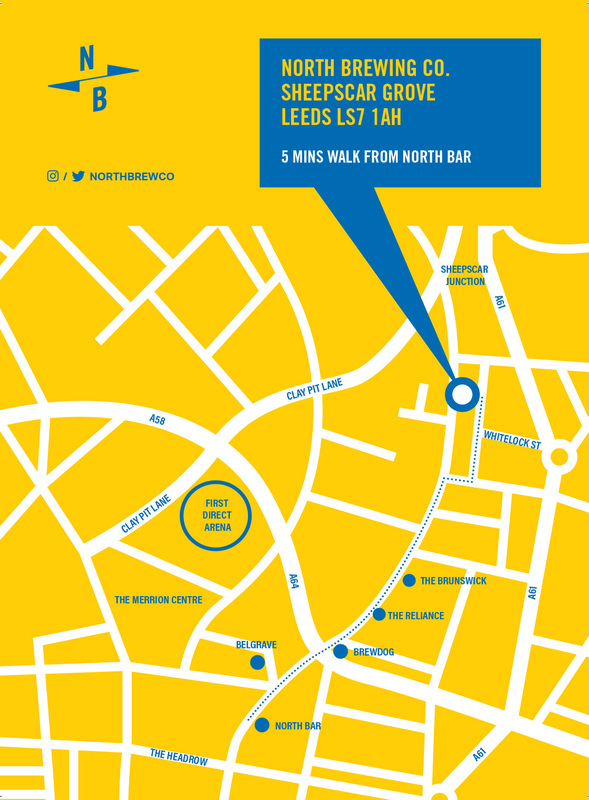 The number 2, 3, 7, 12, 13 and 48 all stop just past the taproom. What time is the food on ’til? 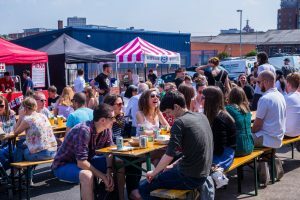 We ask all our traders to bring enough food to trade until 10PM, but there’s no way of us accurately predicting how hungry you all are. We’ll try and let you know via Twitter when traders are close to selling out, or you can shoot us a message to check the state of play before heading down. The same goes for popular menu items. All we can suggest is our favourite mantra: Eat Early, Eat Often. – What’s going on apart from the food? Aside from the wonderfully stocked bar crammed with awesome craft beer, wine, and spirits you mean? 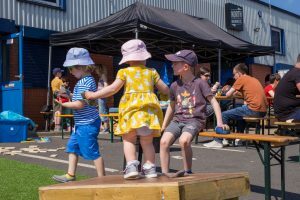 We’ll have DJs and music on every week playing tunes that make you do a little involuntary shuffle on the spot, plus some fun bar games so you can test your skills against your friends. 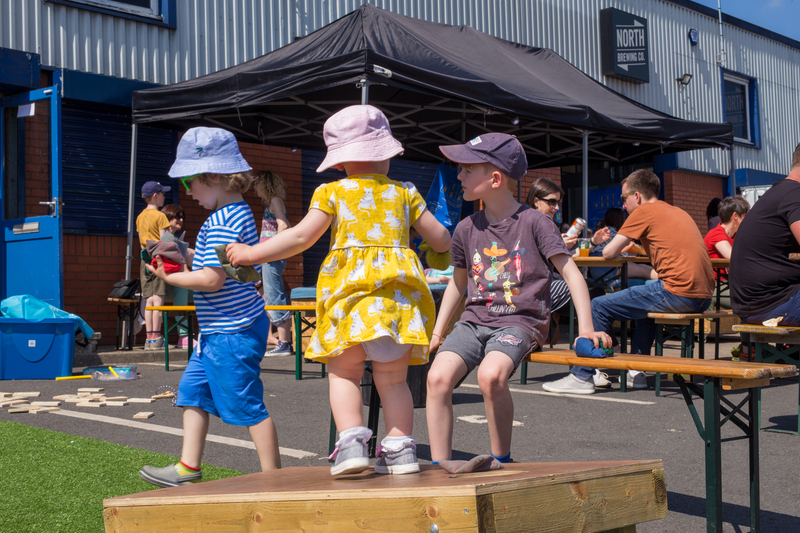 We love kids and dogs, and the brewery is a fun, inclusive space where everyone is welcome so bring the family! This year we have baby changing facilities. – What about veggies or vegans? Hey, we love you guys! 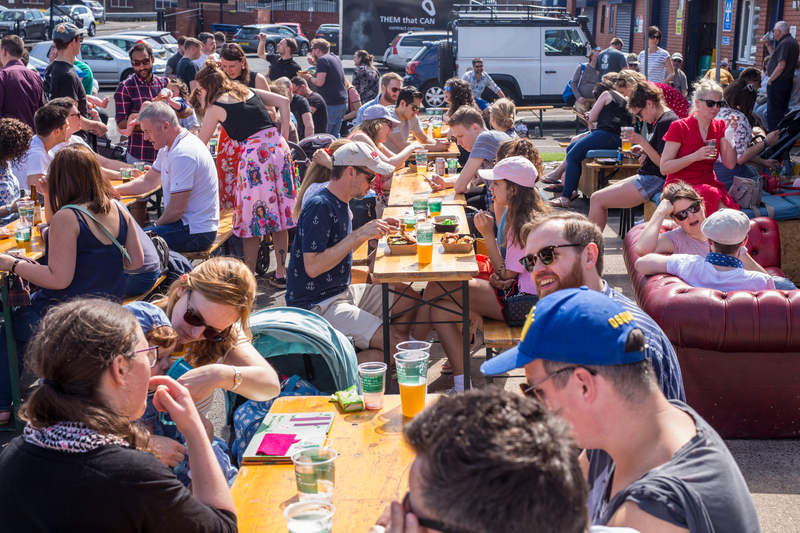 Every week the majority of the traders will have proper veggie and vegan food on offer alongside the more carnivorous stuff – proper choice, not just a token bean burger. The brewery stock vegan beer too! 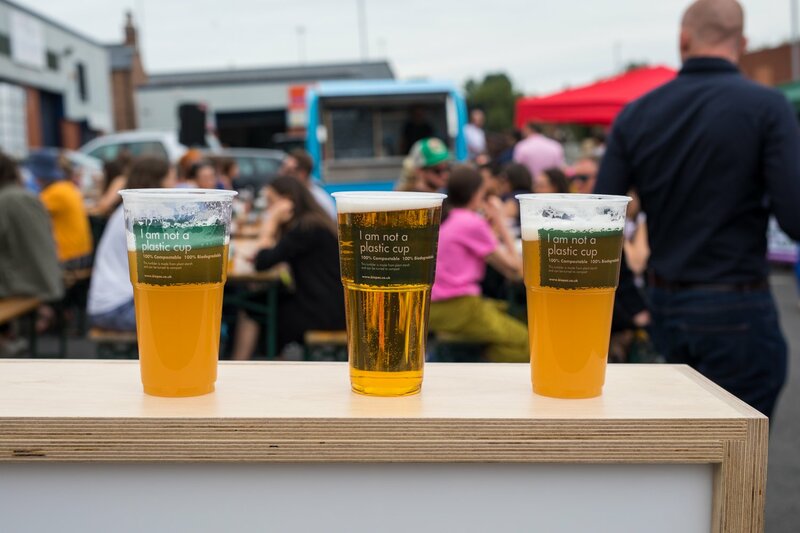 What’s more, once a month we’re running a totally meat-free event – VegNorth (see what we did there?) 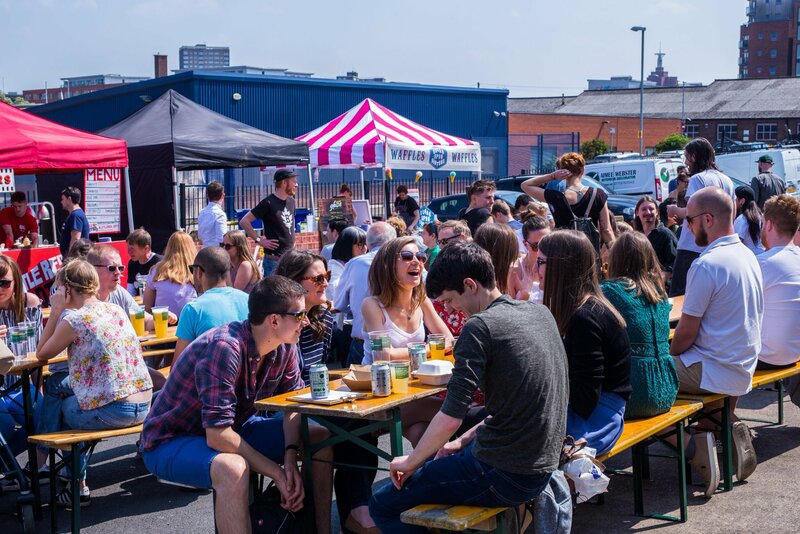 – with some of the hottest veggie and vegan traders around! Our traders are pretty cool cats too, so if you have any other dietary requirements they’ll do their best to adapt dishes to suit. No-one should miss out on EatNorth! The whole venue, including toilets, is flat with no steps, and at ground level. The nearest blue badge parking is at Trafalgar Street, five minutes up the road, though this isn’t hugely convenient. There should be plenty of available on street parking near the venue. The ladies toilet in the brewery tap is also an accessible toilet, and can be used by anyone. The indoor space can be a fairly noisy environment, and light levels are pretty low after dark both indoor and out. If you have any specific accessibility questions or requirements drop us an email on food@ilikepress.co.uk and we’ll do your best to help.